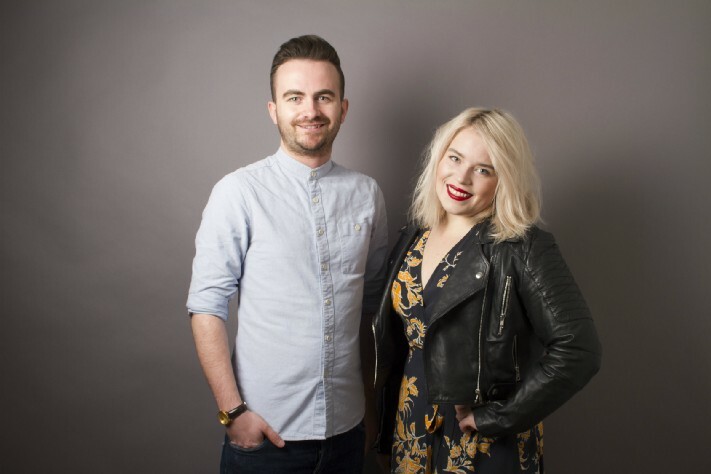 I caught up with Krystin Arneson and Gordon Smith – founders of LGBTQ specialist marketing firm KOG – for a bit of career advice. What led you to start exploring a career in PR and Marketing? Krystin: I got into marketing by wanting to explore what else I could do with my wordsmithing talents beyond writing articles. I always want to be trying something different, which makes me a great fit for the project-based format of the company. Between my writing talent, and my creative, strategic brain, I’m a natural fit for the field. Gordon: For me, it wasn’t a dedicated shift into the sector – more of an steady evolution as I worked out what I enjoyed doing and focused on my skillsets. I drew on experience gained from corporate communications, journalism and more ‘traditional’ travel PR before launching KOG. Did you do any study or undertake qualifications in this field, or is it something that you’ve learnt on the job? Krystin: I received my Bachelor of Journalism degree from the University of Missouri – the top journalism school in the United States – and then went on to receive an additional BA in International Studies and a MSc. in Cultural Studies. This has been a great grounding for my work within both cultural and cross-cultural contexts. Gordon: I have an honours degree in Journalism from Edinburgh Napier University. While a degree in a relevant subject is always going to be an attractive asset to a potential employer, the most important thing for me was on-the-job experience – both in the third sector and paid odds and ends. How did you land your first PR/Marketing job? Krystin: I’d recently transitioned from a full-time job leading a top city magazine to the freelance life, and was looking to try something different – I was at a point where I wanted to explore wider work. A contact who ran her own successful PR business offered to take me under her wing—her clients were mainly arts and nonprofit organisations—and I fell in love with the work, and the potential it had to do good. Gordon: Good contacts are crucial in any industry – particularly anything relating to communications and media – but this doesn’t mean favours from friends of your mum or dad. I started out with no ‘ins’ and built my contact book from scratch by attending evening events, helping with nonprofit organisations, and keeping an active social media presence. Was working in PR and Marketing like what you imagined it would be? Krystin: It’s not as evil as I thought – which is a good thing. The only thing evil about PR, frankly, are the hangovers the morning after an industry event. that if you’re interested in a career in PR and marketing that you’ll need to be spouting misinformation for a multinational. Krystin: I like to work on my own schedule and as my own boss—I prefer to approach my work as a series of collaborations rather than a set hierarchy and all the protocol that entails. I also like the idea that what I put in is largely directly what I get out. Gordon: After years of experience in newsrooms, corporate offices, and freelancing in coffee shops, it was a natural evolution. I think having Krystin by my side helped enormously in giving me the confidence to make the jump into the relative unknown. What are some of the skills or attributes that you need in order to build a career in PR and Marketing? Krystin: Being engaging and genuine—a lot of PR is understandably quite surface-level and image-driven, but the deeper and more authentic relationships should not just require you, but allow you to be a human at the end of the day. Gordon: While the industry isn’t nearly as ruthless as, say, journalism, it does still require a tough skin – particularly when starting out. Don’t be afraid to test out a few different niche sectors and find what suits you. I found many of my most satisfying projects to be those where I had a genuine interest in the topic – with PR and marketing spanning almost every sector, don’t be surprised to see opportunities within companies or organisations you might not expect. If someone was thinking about PR and Marketing as a career choice, what advice or guidance would you give them? Krystin: Remain flexible. Plan one step ahead, rather than five. I used to plan life 10 steps out, and I learned in my mid-20s that it’s a whole lot more fun to lean in a little to life’s breeze. I never thought I’d wind up in Berlin, for example, but here I am and I’m loving it! Gordon: It’s amazing how the culture within an organisation can alter your experience and satisfaction – I know friends at one firm who work most weeknights past 10 PM, and others who usually leave at 5:30 PM on the dot! Also, there are some fantastic companies who are based outside London. Don’t assume that you’ll need to move to the capital and juggle a dodgy commute and even worse flat-share to be able to ‘make it’.